Less widely known is the significant cost-savings that commercial transport fleet owners can enjoy when they run their vehicle tyres on nitrogen inflation. “The benefits of inflating your fleet tyres with nitrogen are really significant if you are a major commercial transportation company with dozens of vehicles on the road,” says NitraLife’s sales director, Tom Sowry. Local nitrogen generator supplier, NitraLife launched its business in 1996, and was very much a pioneer in the field of nitrogen tyre inflation locally; as well as being the first supplier of generators for nitrogen tyre inflation to the commercial transportation sector. 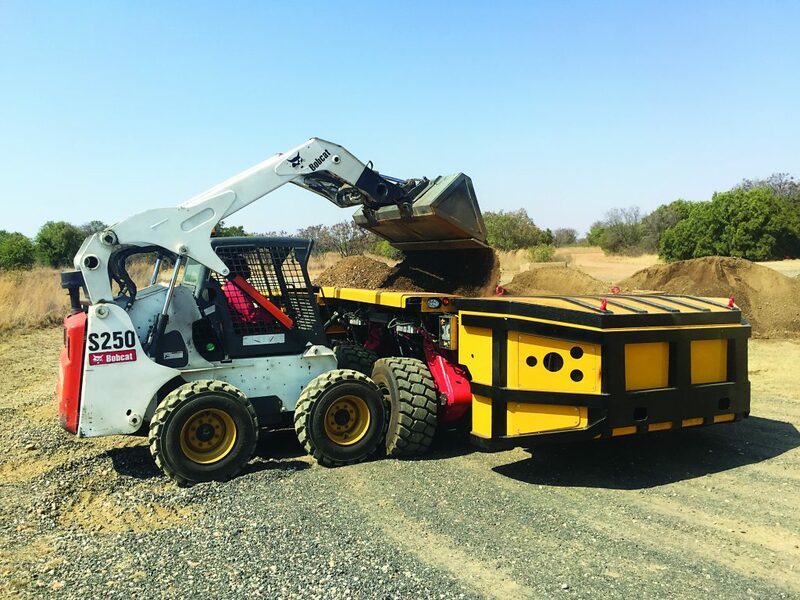 Since then, the company has also successfully expanded into supplying generators for nitrogen inflation of tyres to the passenger vehicle market and the mining industry. “The longer the distances travelled and the heavier the loads, the greater the benefits,” Tom explains. “If you enter ‘savings with nitrogen tyre inflation’ into an Internet search engine, there are pages of evidence on the cents-per-kilometre savings which nitrogen tyre inflation can bring about. These savings are not confirmed to large fleets. In the early days of NitraLife, its highly efficient membrane nitrogen generators were manufactured in a limited ‘litres-per-minute’ size, which was more suited to the larger commercial transporter. “Today we can customise generators, for example manufacturing a smaller 120 litre-a-minute machine, which is a size better suited to the needs, and budget, of the smaller fleet operator,” continues Tom. He explains that even if a fleet operator can save 3-5% on tyre costs, this will most often pay for the rental or purchase of a NitraLife generator. However, there are many more reasons why commercial transporters should consider nitrogen tyre inflation. For example, oxygen and water vapour are constituents of air. Once air is pumped into a tyre, water vapour is concentrated inside the casing and, along with the action of oxygen, degrades the rubber and causes the steel within the tyre to corrode. This reduces the tyre’s ability to hold pressure and also leads to early casing failures. Tom points out that a number of South Africa’s major commercial transportation companies have been using their generators for the past two decades to do their tyre inflation. Clients have found that the tyre casing is able to be re-treaded several times more than its air-filled counterpart. Tom cites the example of one of his customers – a major tanker operator – which previously had to scrap some 20 tyre casings a month. Once they started to fill their tyres with nitrogen, this number decreased to some 13 casings a month. Nitrogen escapes through tyre walls four times more slowly than oxygen and water vapour escapes 117 times more quickly than nitrogen. Nitrogen tyre inflation ensures that correctly inflated tyres will not overheat. Heat build-up – as underinflated tyres flex beyond their specified limits – is a major cause of premature tyre failure. “Maintaining correct tyre pressure with nitrogen is even more important if your vehicles are travelling very long distances, particularly if they are going beyond South Africa’s borders to areas where tyre maintenance facilities are more rudimentary or not available at all,” he explains. “If a vehicle is on the road and away from its home base for two or three weeks, knowing that the tyres are not losing pressure gives fleet operators real peace of mind. “As any fleet operator knows, commercial transportation is a highly competitive sector. Customers want their goods delivered quickly and reliably. Tyre failures mean lost time and late deliveries. Furthermore, a vehicle stranded next to the road with a valuable cargo on board, known as an ‘on-the-road’ failure, is a tempting target for criminals and poses a real security threat,” he adds. All tyres flex during normal operation which leads to the build up of rubber particles inside the tyre. Rubber is composed primarily of carbon and therefore, when these very small particles are exposed to high heat levels caused by binding brakes or a wheel bearing failure, they can – when mixed with air – combust or even explode with potentially calamitous consequences. With high purity nitrogen filling a tyre, this cannot happen and the safety of driver, vehicle and valuable cargo is ensured. For the fleet owner, NitraLife has rental or purchase options available; both of which feature the added attraction of having almost no additional maintenance requirements. This is because the generators have no moving parts and a conventional air compressor supplies the compressed air used to feed them.